Pastoral river valleys, quickwater runs, meandering oxbows, big lakes, and, perhaps, a great blue heron as your guide. 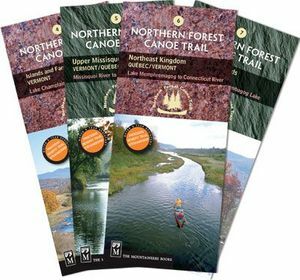 The Northern Forest Canoe Trail through Vermont, Québec, and New Hampshire is diverse and scenic packed with big lake crossings and meandering rivers. Though day trippers tend to avoid Quebec's 5.7-mile Grand Portage—the trail's longest carry—enthusiasts can find petroglyphs along this ancient Native American portage route.